Whenever I go to France, I always bring back a few skincare essentials. I was recently asked to share my favorite. 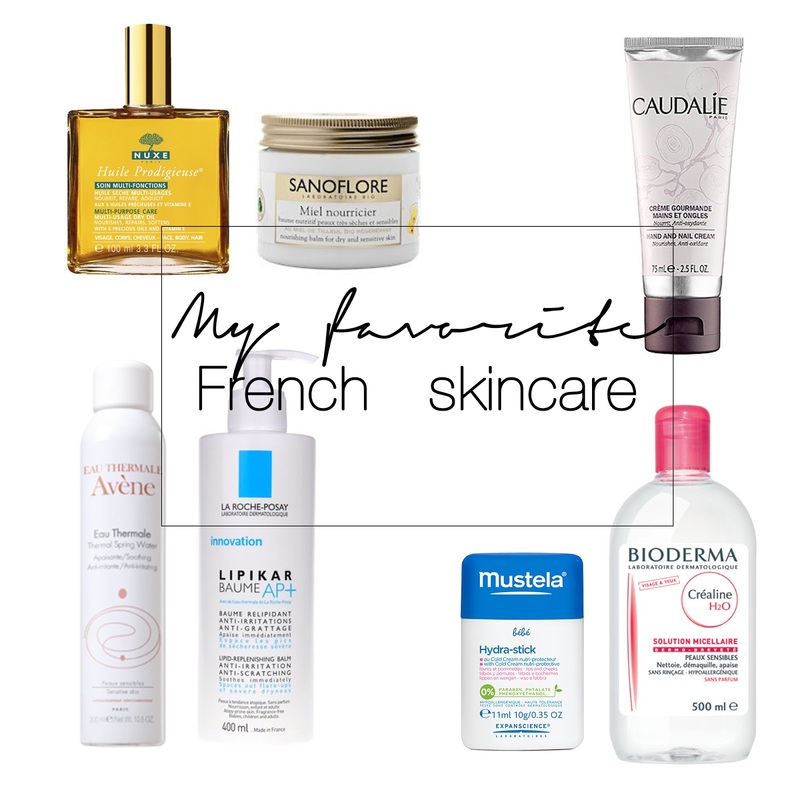 It is not an easy task for a beauty addict like me but I did manage to round up my some of my French pharmacy staples. Nuxe Huile Prodigieuse: I like to use it on my face and body or as a perfume in the Summer • Sanoflore Miel Nourricier moisturizer: a favorite since my pregnancy • Caudalie hand cream: my mother brings me a tube every time she visits and I love it • Avene Eau Thermale Spray: I use this on my son's delicate skin • La Roche Posay Lipikar Baume AP+: again, I use this on my baby's eczema prone skin • Mustela Hydra-Stick: this little stick is a great on-the-go face moisturizer for my baby since his face gets extremely dry • Bioderma Crealine (/Sensibio) H2O: I don't even remember when I started using this, but it's a must in my bathroom! Do you have some very specific skincare staples you can't find everywhere?